The HyPer 9 Integrated System™ (IS) is the ideal power-train for any light to mid-weight daily driver. Combine multiple systems for heavy-weight and racing vehicles. Our HyPer 9 ™ motor is a Synchronous Reluctance Internal Permanent Magnet (SRIPM) AC motor. 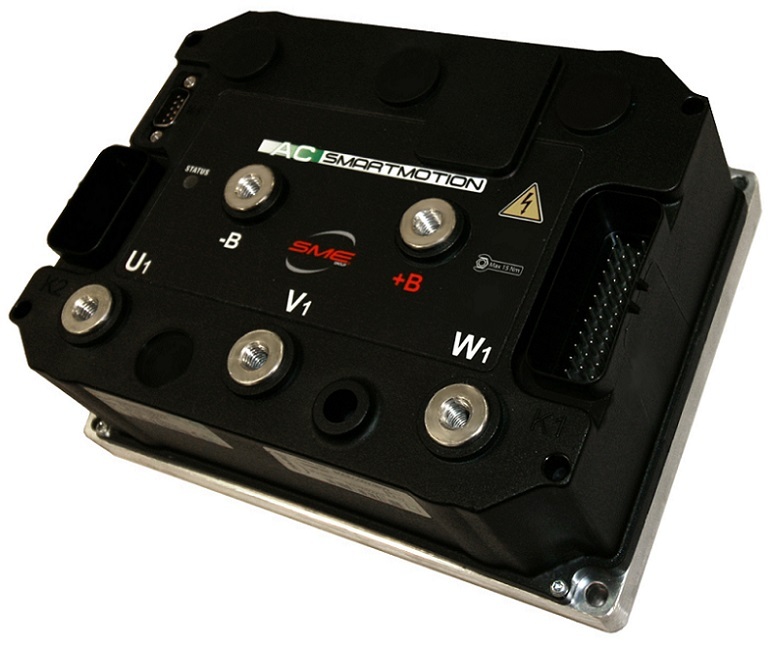 The HyPer 9 IS ™ will include a HyPer 9 ™ motor, fully matched and programmable SRIPM motor controller, diagnostic display, throttle, main contactor, and low voltage wire harness. On the technical side, the HyPer 9 ™, runs at a nominal voltage of 100V that will provide 85 KW at peak load. Peak efficiency reaches ~95%. Maximum current is 850 Amps. Shaft torque has been measured at 173 lbs.-ft at zero RPM. Peak RPM is 8000 with a maximum continuous RPM of 3300. Dimensionally, it is 13.98” long with a sealed frame diameter of 8.66” and a weight of 120 lbs. The shaft is single ended and keyed with a NEMA B-Face mounting that matches exactly with the WarP 9 ™. · Motor Weight: 120 lbs. · Controller Weight: 9 lbs. The Reluctance Rotor is a low loss design for current to take a natural path of least resistance. There are no windings in the rotor - this means 0 ohmic rotor losses. Cooling fans are not required, yielding even lower losses. The constant and revolving fields rotate at synchronous speeds, allowing for precise control with no rotor slip. The Internal Permanent Magnets produce significant torque over non-magnetic SR motors. The Integrated motor and controller/inverted are designed for and mapped to one other for maximum performance and efficiency. The HyPer 9 is a 3 Phase AC, Synchronous Reluctance Internal Permanent Magnet (SRIPM) Motor, and it is powered by a matching Synchronous X1 Controller/Inverter. Stay ahead of the curve with this unique and revolutionary technology which differs from AC Induction and traditional Permanent Magnet technology on so many levels. 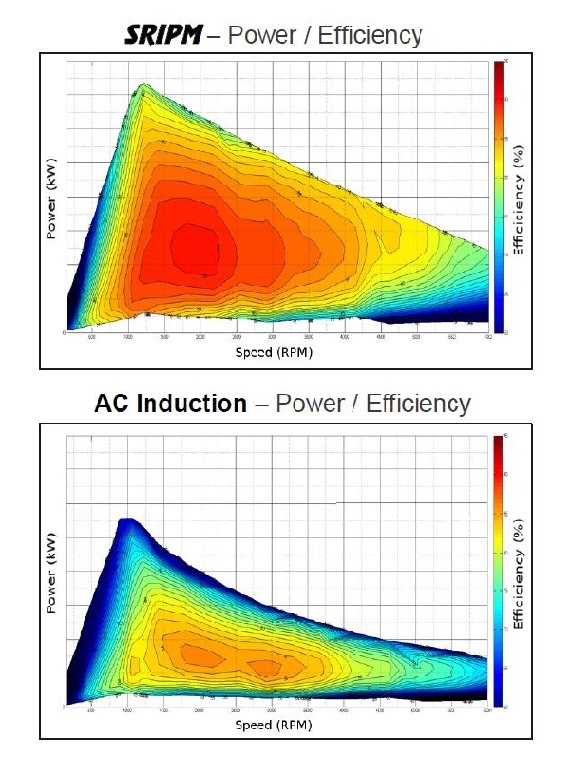 The HyPer 9 IS works much like an AC induction system, but thanks to its Synchronous Reluctance rotor, the HyPer 9 is capable of running in IEC's highest efficiency class of IE4 "Super Premium Efficiency". If you need a power dense brushless motor, you are no longer locked in to paying the high price of rare earth Permanent Magnet systems. The HyPer 9's Permanent Magnet technology produces an additional 30-40% peak torque over similar sized AC Induction motors - at a comparable cost! · Industry standard mounting and shaft make for a simple swap from/to WarP motors. · Click Here - for drawings, performance data, sales sheets, and more! 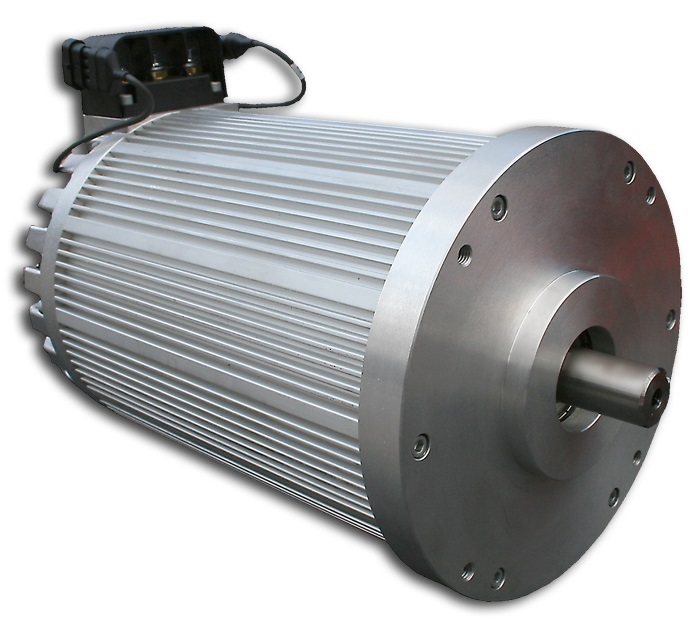 There are 2 ways to get an exact quote for the base shipping for your HyPer 9 IS 100V, 750A EV AC Motor order. We’ll research the exact shipping cost and send you an invoice to your PayPal or email or you can add it to your pallet in $1 Shipping Increments for your HyPer 9 IS 100V, 750A EV AC Motor order.